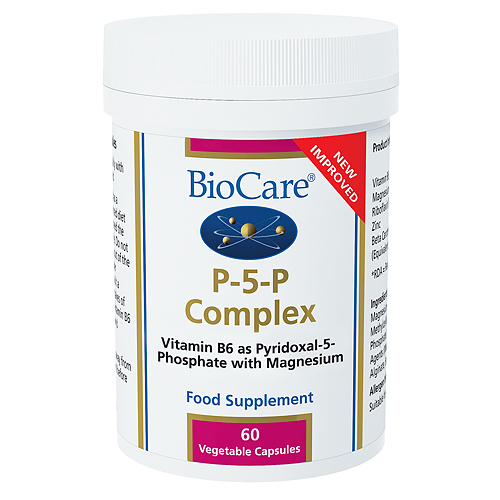 Pyridoxal-5-Phosphate (P-5-P) is the biologically active form of vitamin B6. The utilisation of vitamin B6 in many metabolic processes is dependent upon associated nutritional co-factors. Mineral citrates contain a mineral ion bonded to citric acid. Zinc citrate is the form of zinc found in human breast milk. Citrates are a readily absorbable source of minerals. Beta carotene can be converted into vitamin A in the body. Magnesium Citrate, Capsule Shell (hypromellose), Vitamin B6 (as Pyridoxal-5-, Zinc Citrate, Riboflavin, Anti-caking Agents (Magnesium Stearate & Silicon Dioxide),Alginate, Soy Protein1,Beta Carotene. 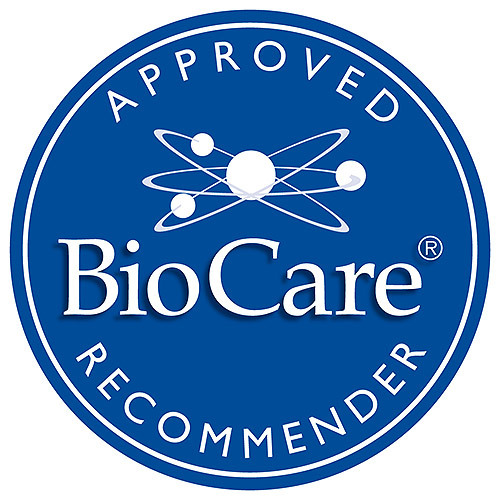 Below are reviews of P-5-P Complex - Vitamins B2 & B6 - 60 Vegicaps by bodykind customers. If you have tried this product we'd love to hear what you think so please leave a review. Excellent along with daily Multivitamin. Highly recommended. 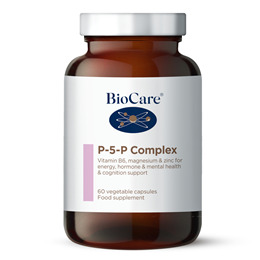 P-5-P Complex combines the biologically active form of B6 with magnesium, zinc and vitamin B2 which are co-factors in the proper utilisation of B6 in the body.